Please Note; This garment may shed sequins during wear. 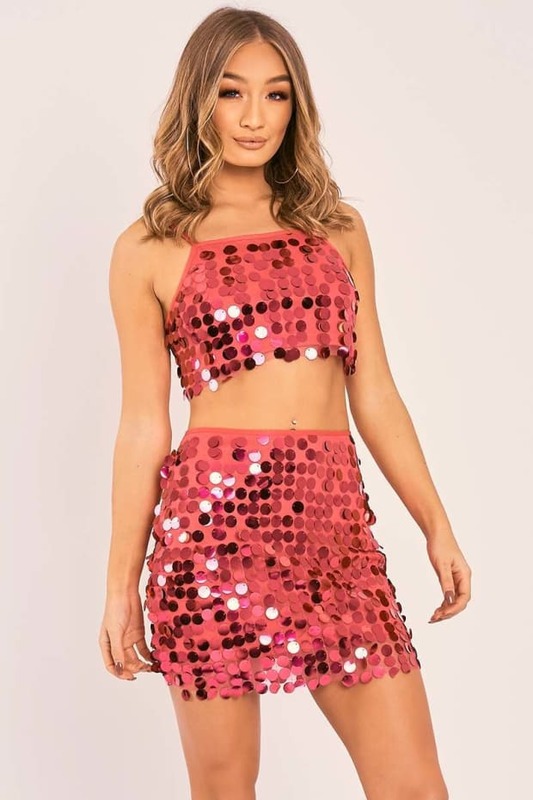 Girl take your style to the next level with this unreal sequin top. With beaut shimmering sequin detail and figure flattering stretch fabric, this sass crop is the perfect party piece! Team it up with the matching mini skirt and strappy heels for the ultimate weekend look.